This is a maze we cannot escape from. This is a rain that will not end. Our umbrellas have turned to backwards bats and flown away. Here is a party we are throwing. 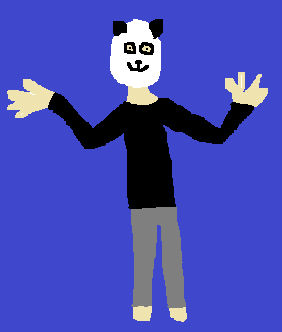 Here is a man dressed as a panda. Everyone else is in normal clothes. The films we loved as children will always make us cry. No matter what we ate for breakfast, we will always be hungry again. This is a wall we thought was a window. This is a hand we thought was attached.